The most exciting step that you take during the home hunting process is putting in an offer on a house that you really want. Buyers are always eager to know whether or not their offer to purchase has been accepted! This can determine whether their search is over or whether they will have to don their hunting gear one more time. Being in this state of limbo can be very frustrating and questions to tend to pop up – one of them being how long does an offer remain valid before it lapses? On a standard Offer to Purchase document, there is usually a blank section left open where the potential buyer can state how long he is willing to leave the offer on the table for. The seller will then have until that specified date to accept the offer that the buyer has presented. If the seller does not accept on or before the date specified by the potential buyer, then the offer will lapse and fall away completely. There have been instances where no date has been specified on the Offer to Purchase document. This does not mean that the offer is valid for an infinite amount of time. In these cases, the offer will usually stand for a ‘reasonable amount of time’ before it lapses. What is considered to be the reasonable amount of time will depend on the circumstances of each party within the agreement. This is not a recommended option when putting in an offer to purchase. Ambiguity can cause serious problems down the line so it is best to have a clear date specified in the document. The offer ceases to exist immediately if the seller rejects it. In this case, the seller will not be able to go back on their decision and accept the offer once they have rejected it. If the seller counters the buyer’s offer, it is considered a rejection of the buyer’s original offer. A counteroffer occurs when the seller crosses out the buyer’s amount and increases it with his or her initials added onto it. If the buyer decides that the amount is too high and does not accept the counteroffer, the offer will lapse. The seller will then not be able to accept the buyer’s previous offer and a new agreement will be drawn up. 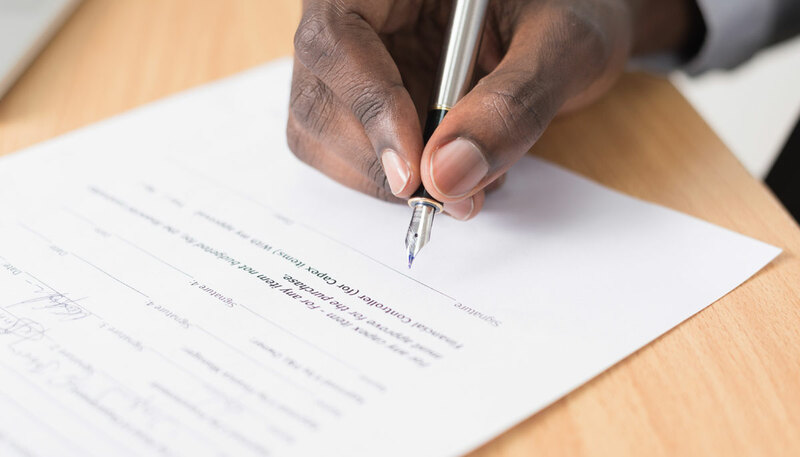 Once a buyer makes an offer and it is added on to the Offer to Purchase document, it becomes a legally binding sales agreement as soon as the seller signs it. However, before the seller accepts the offer, it can be revoked by the buyer. This can only happen if it has not been stated that the offer is irrevocable for a certain period of time. It must also be brought to the attention of the seller within a specific time frame. To avoid any altercations, it is best to know exactly how much you are willing to offer on a house. If the buyer or the seller dies before an offer has been accepted, the offer to purchase will automatically lapse. A new offer will have to be made with the new party responsible for the selling of the house. However, if the offer has been signed and accepted, all rights and duties arising from the contract will be passed to the deceased estate. Before putting in an offer to purchase ensure that you know the legalities that come with it and that you know what you are paying for.